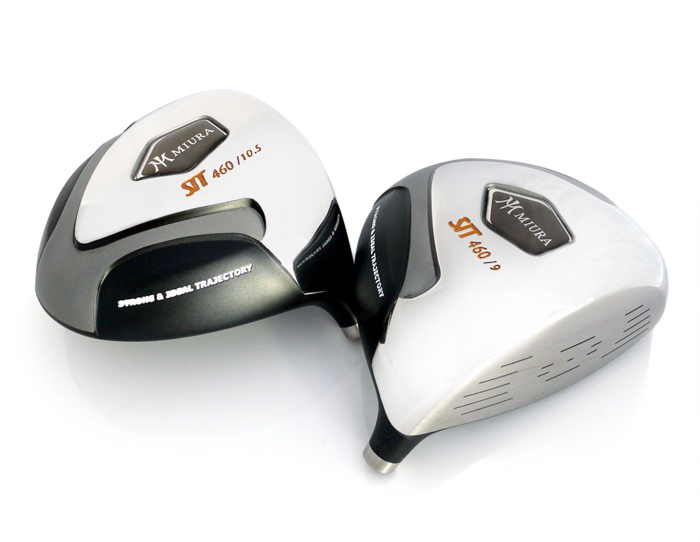 After a long and almost fierce resistance to producing any driver with a head larger than 390 cubic centimeters, Miura Golf just released a new 460 cc model. As with so many other developments by the Japanese club-maker, the design offers most of the advantages of a large-headed club, but has aesthetics that give it a compact look not often seen in today’s toaster-sized driver heads. The design ideas behind the face of the 460 are similar to the MG hybrids Miura released in 2011, in that it’s about as tall as the height of a golf ball, which imparts player confidence at address. While the SIT-460 is larger than Miura’s Precious Edition 390, the new head weighs just 196 grams, four less than the smaller predecessor. Available only in right-handed models, it comes in with 9 degrees or 10.5 degrees of loft, with a suggested retail price of $595.